Starlook presents starbox. In case if you are not familiar, Starbox is a monthly subscription service by starlook cosmetics and anyone can Subscribe to Starbox for herself or give the gift of a Starbox subscription to another just in $15 for every month. 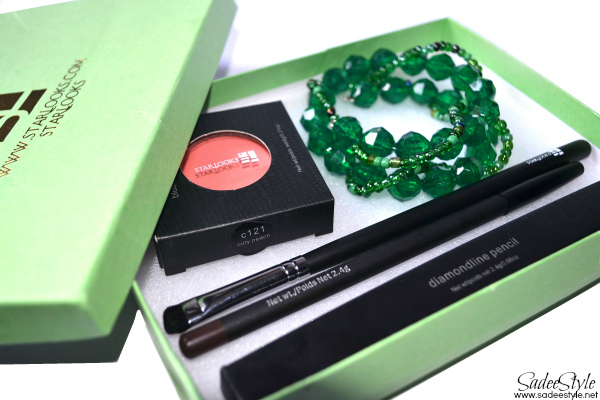 Every package includes 3 or 4 full sized beauty or fashion products. Well Today I'm sharing January starbox which comes in a green box with five incredible products. 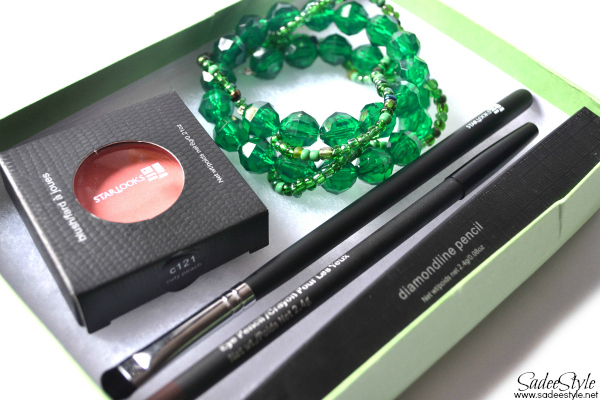 In January starbox we received the emerald Beaded bracelet, Cuty peach blush, Brown eye liner pencil, Fancy diamond eye pencil and 858 - Soft, Small, Dome Fluff" Brush. The package says this starbox retail value is $63, but when you subscribe it you can have it just in $15. I was very excited to see a starbox at my doorstep, Starbox change the box color every month and this month it was a green. The first thing that came in a package was a total surpirse. 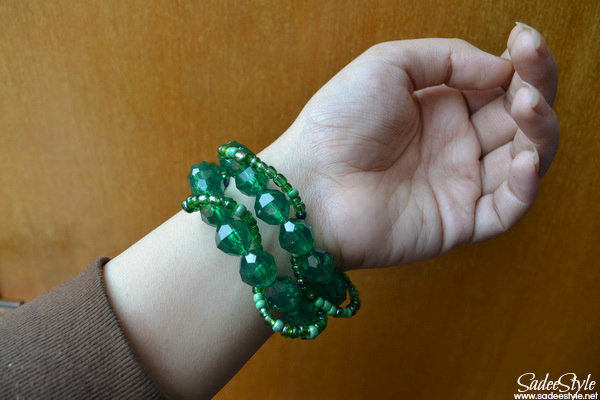 Starlooks recently teamed up with an Etsy shop called Abby Rose Design and Abby Rose is a handmade jewelry and accessories company, they sent their surprise emerald beaded bracelet in January starbox. It's made with good quality plastic beads. I love the style that smaller beads are wrapping around larger beads. 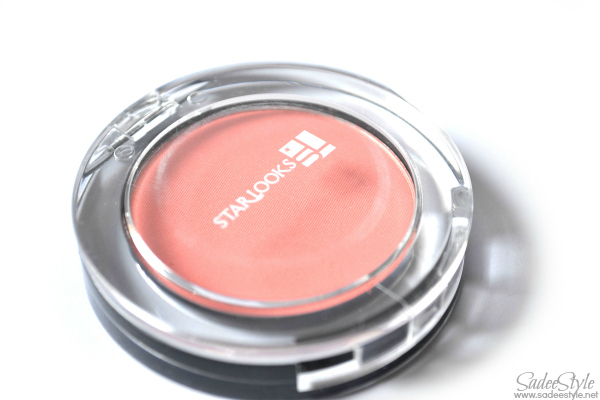 The Second thing that came in a package is a Blush compact in Cuty peach which is very beautiful barbie pink color. I have seen some girls were comparing it with MAC cosmetics, but I have never used MAC blushers or bronzer so can't say anything. In my opinion, It's a best blusher so far. Packaging is amazing and very professional. Texture is unique and feel so soft and blend so well on. It reminds me of E20 short shadder by sigma, but sigma one is more dense. 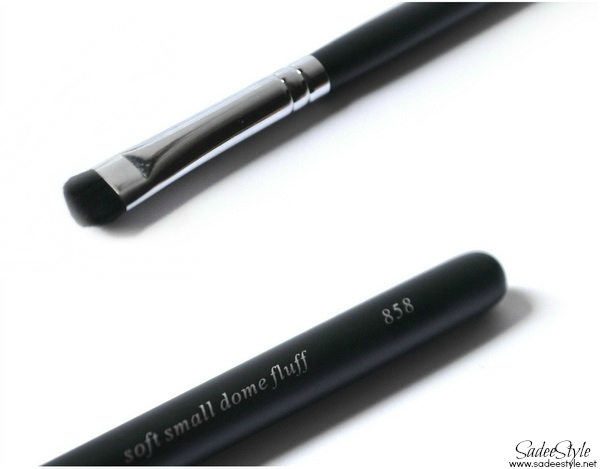 I love the quality of this brush it can be used for applying cream colors or blending eyeshaows on crease area. 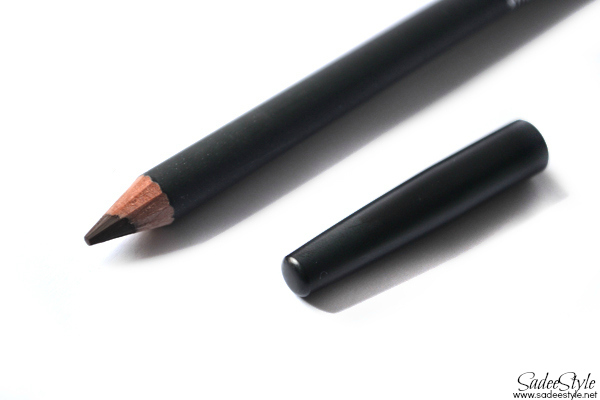 I have been wanting brown pencil for my eye brows for a long time. Before this I was using powder kit to shaping my eyebrows, but I wanted something creamy to fill the gaps and I'm Happy that a brown brow pencil came in this box is very soft and creamy. 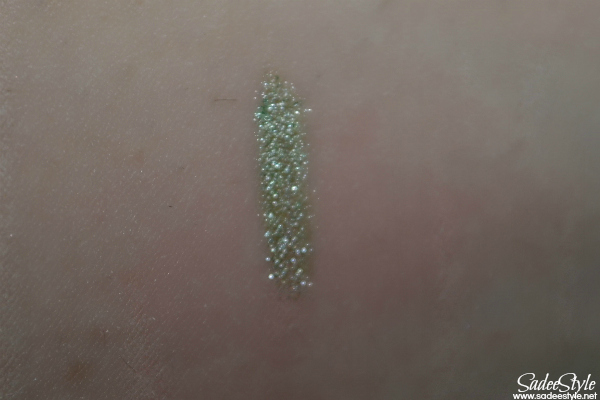 The final product that came in a starbox is a Fancy diamond eye pencil. It's a creamy texture with a hint of green sparkles. 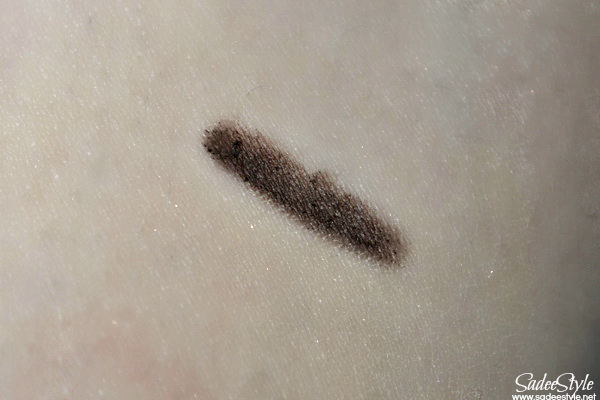 It goes smooth on eyelid and can be used as an eyeliner. So I'm not buying any suscription in my country, but I really want one like this! Nice products, I love the bracelet! 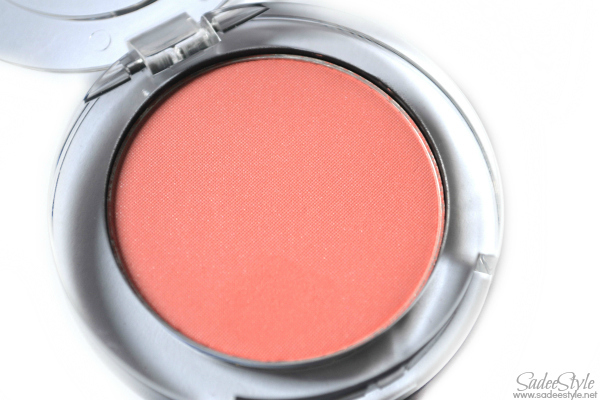 Oh wow, that blush looks absolutely stunning! 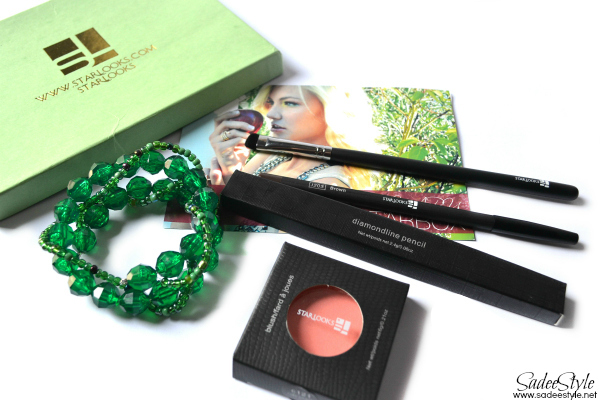 Cool makeup and accessories! 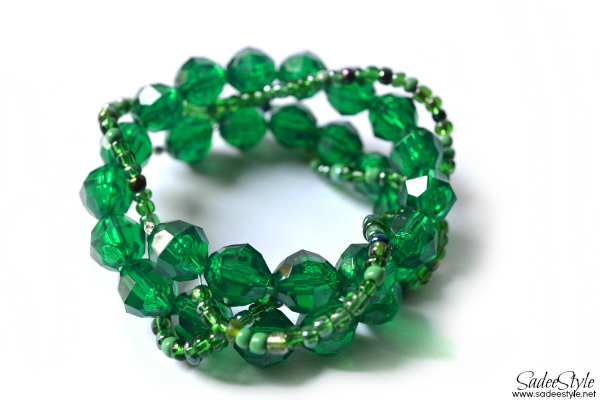 Love the green bracelet! So pretty! So emerald, color of the year! 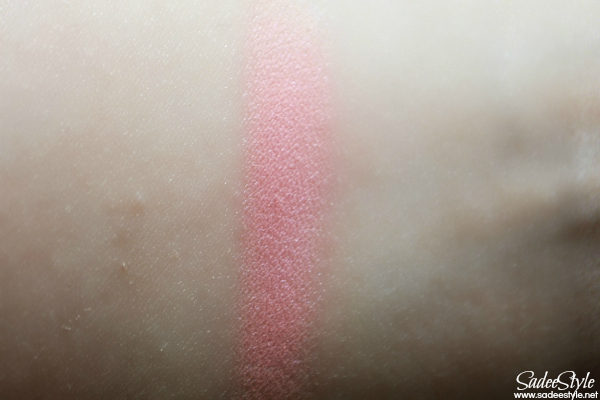 The blush just looks super pretty! !